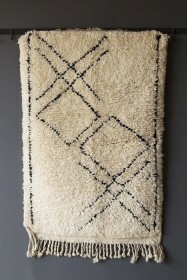 Introducing our Rockett St George Own-Design Original Moroccan Berber Rug and Runner Collection! 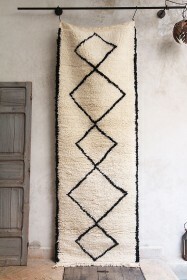 It has always been the dream of co-founders, Jane Rockett and Lucy St George, to bring original Berber Rugs and Runners to Rockett St George and on their last visit to Morocco they were lucky enough to meet with some really inspirational artisans and craftsman who have worked alongside them to make this dream come true! 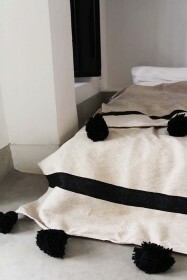 In Morocco, every carpet tells a story and the Original Moroccan Berber Runner is no exception. 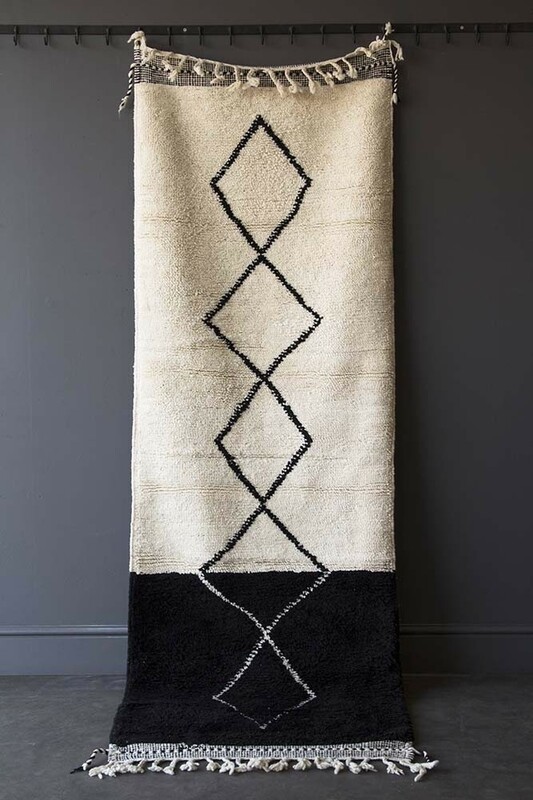 Handwoven by the Moroccan Berber tribes, the Berber people mostly live in Morocco and are known for their incredible artistry and craftsmanship. Each runner takes up to a month to create and the women of the tribes traditionally are the ones to make them and the skill is passed down from mother to daughter. 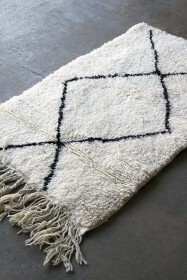 Traditional Berber rugs all have various meanings - ours represent protection and respect. Each runner in this collection is unique, no two are the same and that’s what we love about them! The Original Moroccan Berber Runner is a handwoven piece and so will have the expected variations and imperfections that you might expect from a handmade piece. 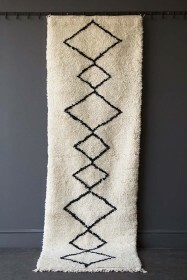 This includes slight variations in pattern, colouring, fringing and plaits.